NOLO team is committed to provide fully-immersive, interactive experience for Mobile VR and PC VR users. In March 2017, we’ve completed a successful Kickstarter campaign, with nearly 2000 units backed and $231,491 raised. We are thankful that developers have worked very hard to provide awesome content for PC VR. That’s why we made NOLO compatible with Steam VR platform as well. Unfortunately, due to lack of interactive devices, the content development for Mobile VR had been much slower. Now, NOLO is bringing fully-immersive PC VR experience to Mobile VR, together with a user base of 2000+. It’s time for us to work together to broaden the content library of Mobile VR! NOLO Mobile VR Developer Challenge will launch on May 17th. We’ve prepared 10 units of NOLO Limited Edition specifically for this event(only 10 units produced). Join us and make Mobile VR great together! Top 10 Games: NOLO Limited Edition. The content developed will be displayed on NOLO official website as Featured Games. Other promotional resources provided by NOLO through multiple channels. Mobile VR Games We Love: $100 voucher for the NOLO Store. The content developed will be displayed on NOLO official website as Featured Games. 1. The games you submit for the challenge doesn't need to be NOLO compatible yet. We are looking for Mobile or PC VR games that potentially could be made compatible on the Mobile VR platform with 6DoF motion tracking NOLO provides. 2. NOLO SDK currently supports Unity 3D.Please submit your project application in the NOLO Mobile VR Developer Challenge post following the format required. 3. To ensure the project is authentic, participants are required to show proof of authorship of the content. Please send your proof to nolo@lyrobotix.com. e.g. : Personal ID, company license. Do not submit duplicate projects. 4. After submission, NOLO team will evaluate the projects based on their quality, creativity, user feedback and business potential. We will announce 10 "Top 10 Games" and 20 "Mobile VR Games We Love". 5. With support from the NOLO dev team, developers can start the integration work to make NOLO compatible after receiving the unit。When the project is completed, developers can publish them to any platform with a NOLO icon. e.g. : cardboard games to Google Play; Gear VR games to Oculus Home), and update in the event post. 6. The content developed will be displayed on NOLO official website as Featured Games. 7. NOLO team reserves the right for final explanation. So the submission can be any mobile based VR game we have made? And we have to submit the game BEFORE we have the Nolo SDK integrated, and if we are chosen you will then send a dev unit out and the SDK so we can get it integrated? I'm confused by this project aswell. So you want to evaluate a game that has at least reached the status of a working demo, right? A simple game concept with concept art but no playable content yet is too little? So basically game devs who don't have VR controllers yet, could not participate without first receiving a NOLO unit? And is this SDK publicly available? Sorry for the misunderstanding. The submission can be any mobile based VR games or PC based VR games that could be made compatible with Mobile VR platform，whether it's published or under development. I've updated the rules. - Short Description：NODDER VR is a short three-level, first-person, Virtual Reality puzzle/hidden-object game for Cardboard VR. Developed in Unity3D for a 4th year University thesis project, it experiments with various puzzle mechanics and a snap-turning system for seated play. This is the only 3D VR game I have finished right now. It was designed for seated and gaze-based input primarily, but the ability to point and click on things with a NOLO device would be so much more fun! I am unsure of what kind of Personal ID is needed to prove my authorship though, can that be clarified? Also, sorry for the double post, but if I make any other games in the remaining time before the contest ends, can I submit those as well? Or does "no duplicate projects" mean only one project per person? Thanks again! @bigelowed ;Thanks for your participation! You're welcome to submit other games in the remaining time. Welcome to the Phaseblade Dojo. Here, you will receive training on how to properly block weapon fire, using your own custom-made Phaseblade, the weapon of the future to pacify criminals. The focus of the game is to block lasers being fired by a small drone. The dronewill firesmall lasers to indicate where it is going to target next, and the goal is to aim the controller at this spot, which will start vibrating if you're holding it correctly. Duel against your mentor in the Dojo. Like Biglowed, I'm slightly confused about requiring a personal ID to prove that I created this. What exactly do you need for me to provide? Fire Stone Games Co., Ltd.
Pumpkin Battle VR is a casual puzzle game, the farm to the harvest season, the hard seed pumpkin was a bunch of greedy rats and the bear found, as soon as possible to aim them, waving the hands of the wooden hammer, hammer flat these bad guys Come on, come and pumpkin battles vr experience it! Silver moon Network Technology Co., Ltd.
Come and spend an island holiday with Xiaomei!! Yeah, that's her. Take her with you! If you don't take her out or go to amusement parks, she’s gonna dump you, so don't blame me if that happens..
By the way, her favourite is to catch crabs on the beach, but... Be careful don't let the crab catch her. The place you are going to explore.. Is Called... Paradise Island! Hurry up! Come and join us in your own-Paradise Island! We're working on putting two demos together and will be cutting it close to the deadline... will the submissions be locked strictly at 11:59pm on 5/31? and if so, which timezone? Thanks and looking forward to share what we're building! Dungeon Crawl VR is designed as a seated VR experience for the Google Cardboard. Explore depths of the castle, uncover its mysteries and collect loot while fighting evil and its creatures that inhabit the castles underground. This project is in early stage of development and is designed for VR , this gives us a chance to integrate nolo early and build the game from the ground up for this platform. We think that nolo is great for medieval action and will allow us to create interesting game mechanics. - Short Description： Online, physics-based, multiplayer hockey game. Requires a VR headset and two VR controllers. The player appears to hold a hockey stick in one hand, and points (ok, squeezes trigger!) with the other to "skate" in the pointed direction. It also supports dynamically switching sticks from hockey to lacrosse. I plan to add a third type (currently it's a cricket bat, but it's turned out to not be as useful as I'd hoped), and allow players to change sticks based on situational analysis. Sort of like Mixed Martial Arts for team sports. Still under active developmeht. Started out as a training app to help my daughter learn lacrosse. As lacrosse claims to be the fastest growing sport in the United States, I planned on developing this app and pairing it with the NoloVR as an affordable-yet-effective way for lacrosse players to continue practicing during the offseason. Then my hockey rink closed down, and I've added more focus on hockey at this time. Here was a peaceful Card World, there were three races of people, they living in peace. Until one day……A mysterious and evil force invaded here, Soon, peace was replaced by war, and you, will be the Savior of the world, bringing peace again to the world. Put the card in your hand on the desktop, that will summon the magic soldiers, they will march forward courageously, kill all enemies who stand in front of them, eventually destroying the enemy base. Planet Slingshot is a physics game of cosmic proportions! Master the realm of orbital physics by launching planets towards black holes using your Planet Slingshot. Unleash chain reactions by causing planetary collisions and making planets fall into the black hole. And once you achieve a stable planetary system, admire the orbital dance by orbiting around the system yourself! 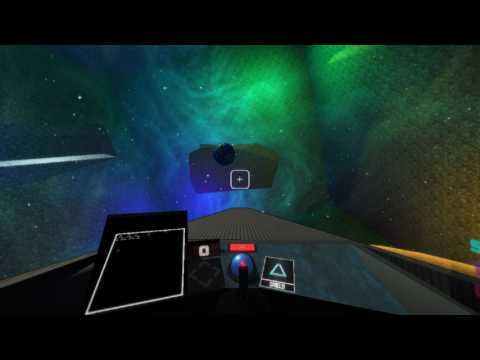 Planet Slingshot is currently under development for Google Daydream and will feature mission-based levels, a variety of planets and multi-blackhole systems. We are also adding realistic gravitational lensing for the black hole (see last screenshot) and multi-body gravity effects. Mall thief is a short exploration/puzzle game where you explore a mall trying to take what you can from others. This task proves difficult when mall cops roam the hallways. You will have to sneakily pull wallets and expensive items out of peoples bags without getting caught. Even do things like wait in the middle of the hallway as people walk by to try and steal their credit card information! If you get caught, you get sent to mall jail. Mall jail isn't so bad when you can break out. This game is all about being sneaky in not so sneaky situations. It will employ similar enemy systems to metal gear where if you're doing something bad in the view of a cop, you're caught. 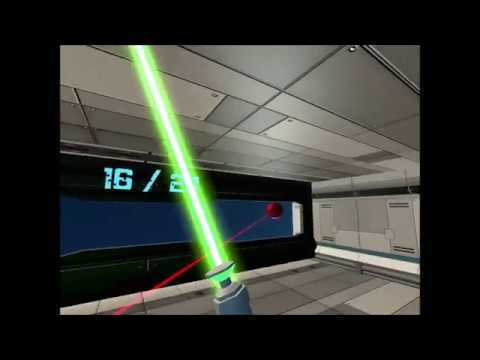 This game was developed specifically with Nolo VR in mind. I developed this game in about 2 days so i was a bit late to start the development. I hope the idea comes across. The Nolo VR system is necessary for creation with the wands being an ample part in the game systems. Daybrush is a multiplayer VR doodling app I'm building to actually have a TiltBrush-like app for NOLO! I laid all the groundwork and built it for Google Daydream with the ultimate goal of porting it to NOLO once I get my hands on that hardware. The full app will feature public/private multiplayer doodling with speech-to-text bubble chat and will make full use of NOLO's 6DoF controllers. In S.L.R, You're tasked with defending up and coming plants from total annihilation. This could be defending them from space dust and comet or even alien invasions. Well, they're not really aliens but more like the enemy janitors. You see, not all the janitors agree on who gets what contract. So sometimes, they get into fights. REALLY big fights. We're talking, big motherships kind of fights. Are you up for it? We would integrate the Nolo VR to control the ship with ease and ability to look around freely while fighting aliens and defending planets from space dust. - Short Description：Inspired by the classic Breakout (TM) game, your task is to break through all the walls of bricks in front of ... and around you. Watch out for powerups such as kamehameha-like lightning that wipes out entire sections of bricks and avoid hazards like unbreakable bricks and energy-destroying EMPs. PS. This is very much a work in progress and I'm fully expecting to not be one of the ten chosen. I am, however, interested in developing this no matter what. I plan on adding multiplayer at some point; either co-op or competitive, and I will add original soundtracks. Wow, some awesome last-minute additions to the contest Looking forward to play these on the Nolo.